For use with Eco- Solvent Print/Cut machines. Give your custom printed designs a great look and feel with printable flock. Works with Solvent and eco-solvent inks. Gives a great matte look with a slightly raised surface. Best of all is the very soft feel your printed designs. Will never have the plastic feel of standard printable htv materials. Try it today. All Perfecpress/Perfecprint brand products are CISPA certified. 6/4/2018 – I have an Artistic Edge home cutter, can I print and cut on this flock? The cutter came with the black and blue ink pens. . . . 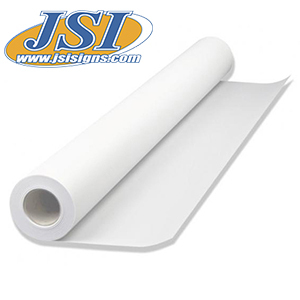 Response From JSISigns: This is for an Eco-Solvent Printer/Cutter. Using ink pens on the material will cause it to wash out. The cutter can cut it but I recommend just standard flock over print cut flock.